Students are prepared for professional practice as scholar-practitioners whose clinical training is enhanced by scholarship and enriched by the analytical and interpretative skills developed through research. Our curriculum is designed to lead to licensure as a clinical psychologist (based on educational requirements for psychologists in the state of California). Our commitment to a human science model of psychology – a viable alternative to conventional psychology’s natural science approach – emphasizes meaning as the fundamental component of psychological life. This focus on human meaning carried out in both qualitative research and clinical practice, yields an in-depth understanding of how things matter for people within their life-situations. Our program is inspired by psychoanalytic, Jungian, and existential-phenomenological perspectives in their historical and contemporary formulations, including archetypal, relational, and hermeneutic psychologies. Significant attention is given to dialogue with related disciplines such as multiculturalism, postmodernism, feminist theory, gender studies, indigenous psychologies, complexity theory, postcolonialism, ecological studies, and Eastern thought. Class assignments consist of readings, posted reflections/discussions, exams, papers or projects. For every hour in class, at least three hours of academic work outside of class is expected. This time may include reading, reflections, research, and writing. Graduate study, in general, requires twenty (20) hours of study per week with an additional approximate 15 to 20 hours of practice per week in the second and thirds years. Dissertation and internship are undertaken after coursework is completed and comprehensive exams are passed. 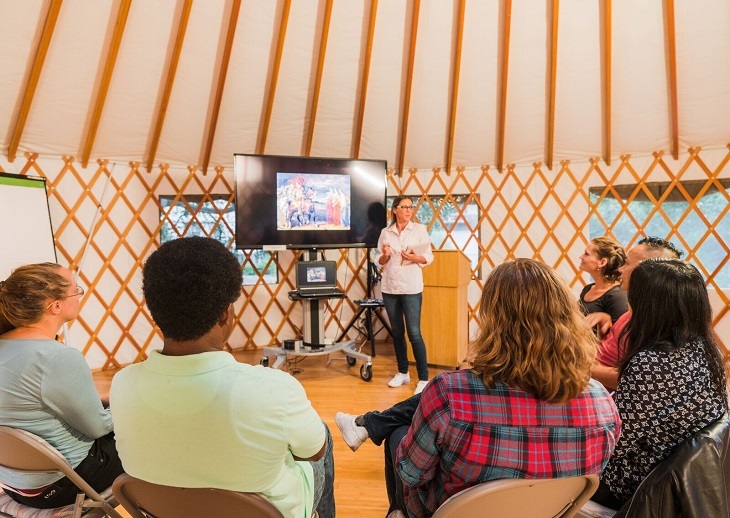 Experiential clinical training at off-campus clinical training sites is an essential part of the doctoral program. Students complete a minimum of 1,000 hours of practicum, 1,500 hours of internship, and 60 hours of personal therapy. The Director of Clinical Training works collaboratively with students to place them in practice in the beginning of their second year of academic study. Students receive supervision and are given feedback at off-site locations as well as during campus coursework. Students in the doctoral clinical program are required to accrue a total of 2,500 hours of approved and supervised clinical experience. These hours are obtained in two “tiers” of training: Practicum (1000 hours required) and internship (1,500 hours required). Both levels of training are obtained at off-campus locations such as group private practices, clinics, hospitals, treatment centers, or other agencies, in which psychologists provide services. Practicum training is a lower level of training with more intensive and directive supervision and is obtained during the second and third years of classes at Pacifica. The Clinical Training Handbook outlines the requirements for beginning clinical training. 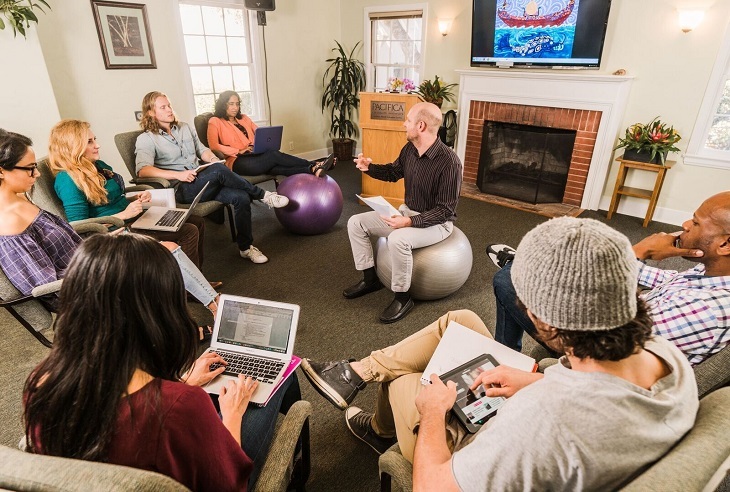 During the coursework on campus, the students participate in Thursday evening practicum seminars designed to ground their clinical training experience in small-group discussions, case conferences, and intensive supervision by faculty. In contrast to practicum training, internship training is a higher level of training with more independence and responsibility and is undertaken after the student has completed all of the coursework and passed the comprehensive exams. The internship, in contrast to the practicum, is a summative and capstone training experience, in which the skills and the knowledge obtained through the coursework and the practicum experiences are exercised. All of the training activities described here are coordinated and supported by Pacifica’s Training Office, including the Training Coordinator and the Director of Clinical Training. A minimum of 1,000 hours of practicum and 1,500 hours of internship are required. Students must obtain Internship through a competitive application process. It is highly recommended that these internships be completed in a multidisciplinary setting offering a variety of training experiences. Pre-doctoral internship in clinical psychology is a supervised summative training experience, which integrates academic learning and previously applied clinical training at the practicum level. Upon completion of the academic program, comprehensive exam, dissertation, and 1,000 hours of practicum training, students in good standing are required to complete 1,500 hours of pre-doctoral internship in clinical psychology. Students from California may participate in the California matching system for internships through the California Psychology Internship Council (CAPIC). Candidates for the internship must demonstrate readiness to apply for the internship to the Director of Clinical Training. Applicants are expected to bring a strong foundation in psychological scholarship, specifically scholarly research and writing, as well as a demonstrated interest and aptitude for the study of depth psychology, which will be assessed during the application process for bachelor level applicants. In addition to advanced writing and scholarship skills, successful candidates will have supervised clinical experience and manifest an interest in the relationships among psychology, the humanities, and human sciences. The experience of personal depth psychotherapy is highly valued.